Honestly I wasn't expecting much from this, in the past Rimmel blushes didn't have amazing pigmentation and had a very bland texture. I can say now this 3 In 1 blush is the complete opposite. 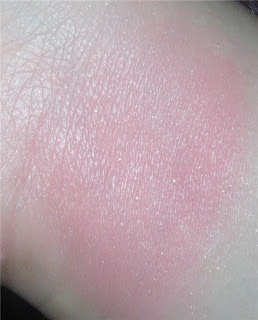 Although it does have a silly free scratchy brush that is a waste of space, I'd rather have more blush than the brush. The texture and pigmentation is astonishing for Rimmel, it's smooth, silky, soft and applies like butter. With one swipe you pick up a descent amount of product. 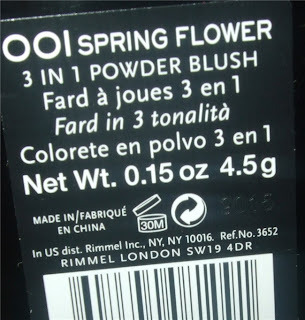 Spring Flower is the lightest colour out of the 4 shades that they offer and is full of pretty petal pinks with very fine shimmer in a graduation. 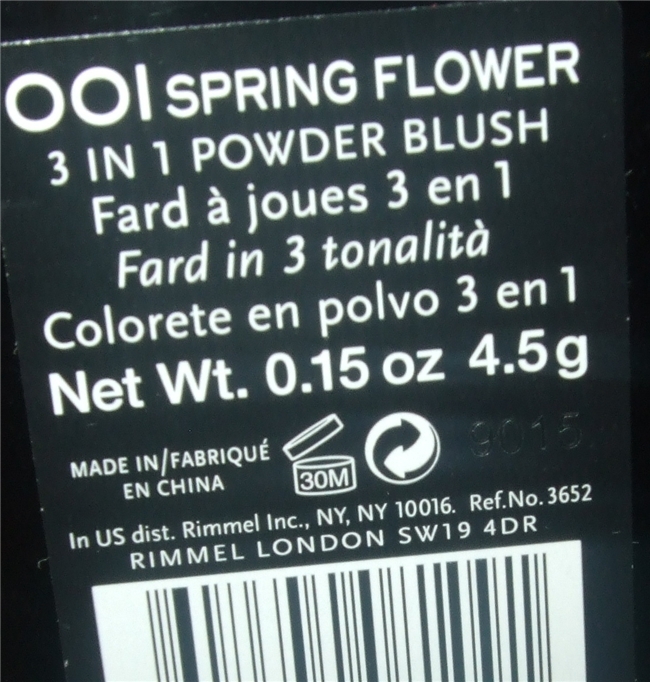 It is hard to use these separately as there's limited space between them, it's quite a small pan to begin with. 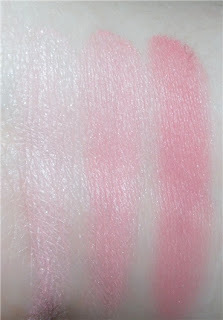 Though this does make up with pigmentation so a light hand is needed for your spring flush. This looks very cute! 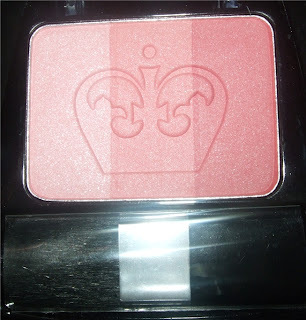 I've never tried a Rimme blush. 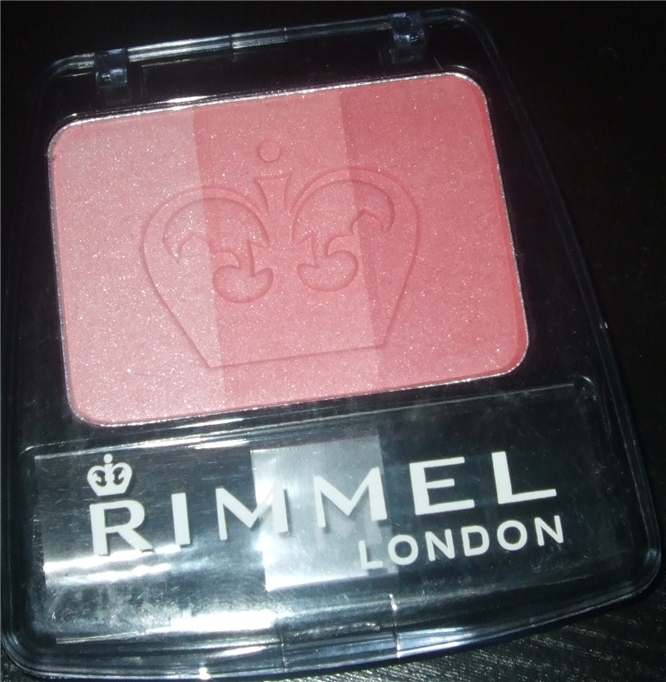 A bit silly of them to make three shades if they're too small to use though? Maybe they expect people to *use* the free brush, ha ha!